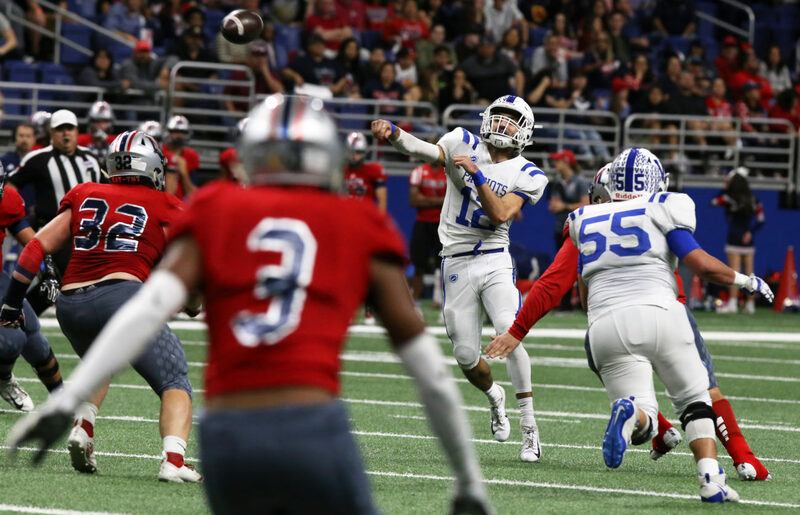 Tickets for Mission Veteran Memorial High School’s fourth round playoff football game versus San Antonio Wagner go on sale Tuesday at the Mission CISD Athletics Department at the Central Office Building at 1201 Bryce Drive. Presale prices are $8 for children and $12 for adults. At the gate, the tickets are $14. Fans should also plan to pay for parking, which is $15. Fans can purchase tickets from 8 a.m. to noon and 1 p.m. to 4:45 p.m. on Tuesday and Thursday. On Wednesday, tickets are on sale from 7:30 a.m. to 6 p.m, and 8 a.m. to noon then 1 p.m. to 3 p.m. on Friday. The game is at at 10 a.m. Saturday at the Alamodome in San Antonio. The Patriots are the last Rio Grande Valley team in the high school football postseason. A community pep rally is scheduled for the Patriots on Thursday at 6 p.m. at the high school’s Gym.